Add a touch of Color with these brilliant Green LEDs on a Flexible Strip. They will accent any room or use them in your back yard to light areas around your plants or trees. 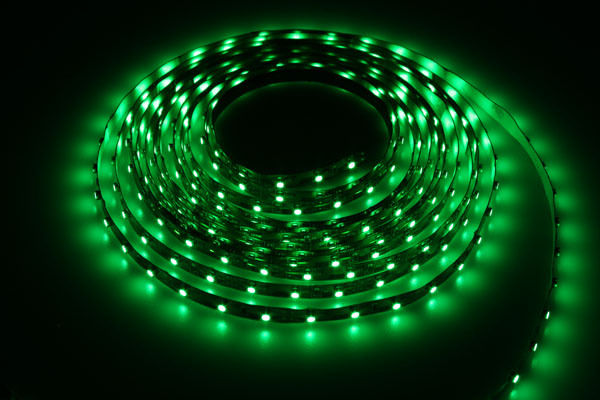 These Green Flexible LED ribbon strips are sold so that you can fully customize them. You can cut them to virtually any desired length and then reconnect them using connectors. Use our mounting sleeve to protect them against moisture. LED dimmers are also available for controlling the brightness and as an on/off switch.